The Specials - Win 'Encore' on Limited Coloured Vinyl and Tickets to a Toronto Concert! - Enter on Exclaim! 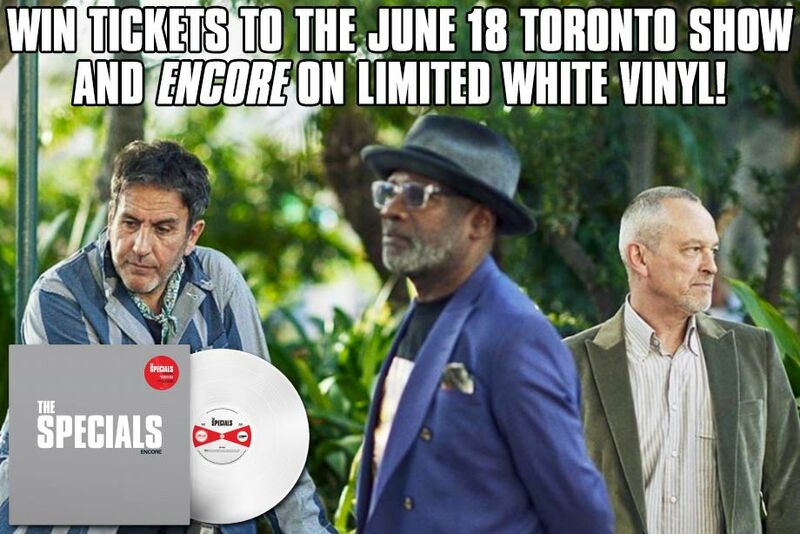 Enter to win a limited coloured copy of Encore by the Specials and tickets to their June 18 show at Toronto's Danforth Music Hall. Encore comes out 40 years after the release of their first single, "Gangsters," and the tour is celebrating that four-decade milestone. It's also their first album since the Specials' 2001 effort Conquering Ruler cover album, with 1998's Guilty 'til Proved Innocent! marking the group's last record of original songs. Well, there are some covers too. You can find out more about those and the album as a whole here, then fill out the form below.